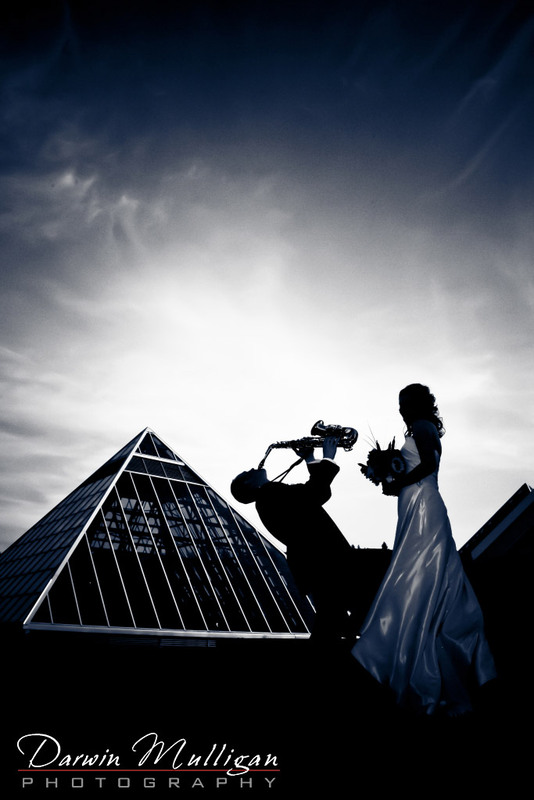 David, the groom, plays saxophone in a band…..
… so it was just natural for him to serenade his new bride, Jennifer. This photograph was taken in front of the Muttart Conservatory in Edmonton on their wedding day. To get the groom in this pose, I simply said “Lisa from the Simpsons!” David immediately struck the pose, while Jennifer looked on. This is week 44 of my 52 Weeks of Weddings Project.